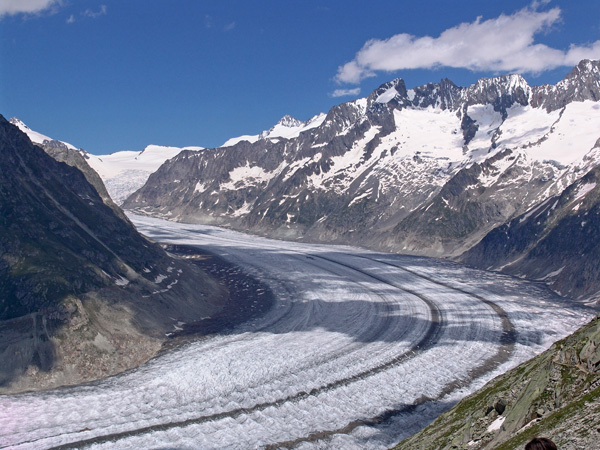 The Aletsch Glacier (in German Aletschgletscher) is the largest glacier in the Alps, with a length of about 23 km and a surface of more than 120 sq km. 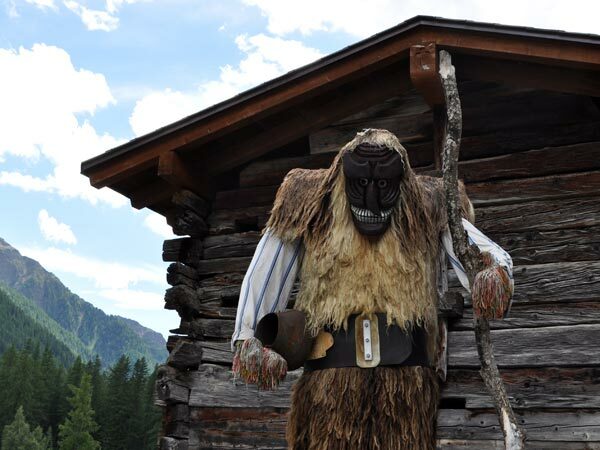 It is situated in the Eastern Alps of the canton of Valais. Highest inhabited part of Lötschental, 1540 m above the sea, this picturesque village and the neighboring hamlets are Swiss Heritage Sites, and the region is included in the Jungfrau-Aletsch protected area (UNESCO World Heritage site). Brig (in French Brigue) is the last town at the upper end of Valais, where very important railway lines meet, mainly the Geneva-Milano and the Bern-Lötschberg-Simplon lines. In the Goms Valley, at the foot of Eggishorn, a peak overlooking Aletschgletscher. Goms Valley stretches from Brig to 3 alpine passes connecting Wallis (Valais) to Tessin (Nufenen), Bern (Grimsel) and Uri (Furka). Great area for summer hikes and winter sports. The Furka Pass, 2429 m over sea level, is a high mountain pass in the Swiss Alps, connecting the Goms Valley (Valais/Wallis), to Andermatt (Uri, Central Switzerland), along the Rhône Glacier. Scenes of Goldfinger, with Sean Connery as James Bond, were shot here. The Grimsel is a Swiss high mountain pass, 2,165 m above sea level, connecting the Haslital (upper valley of the Aar river, in Bernese Highland) to the Rhone Valley, in Valais. It is situated near the source of the Rhone River. Many mountain passes connect north and south of the Alps, but most are not accessible by car. Loetschberg Tunnel car shuttle train, between Kandersteg and Goppenstein, is the only connection open all year long between Bern and Valais. 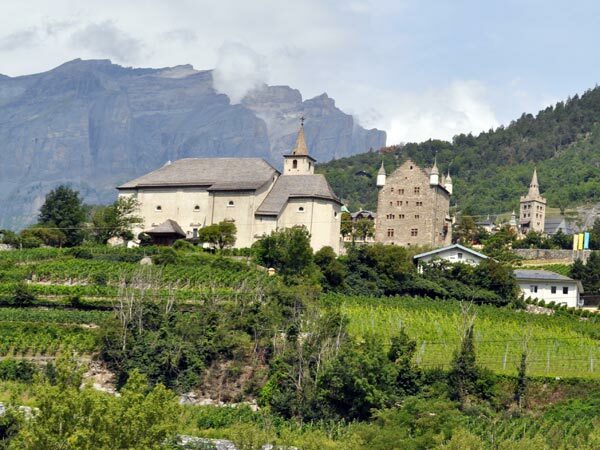 Between Sierre and Gampel, a satellite communication station will catch your eye. It's the big ears of the Swiss Intelligence Service. Have a look to the left: you'll see the little city of Leuk, with its castle renovated by renowned architect Mario Botta. Leuk's Baths (Loèche-les-Bains in French), at the foot of the Gemmi. 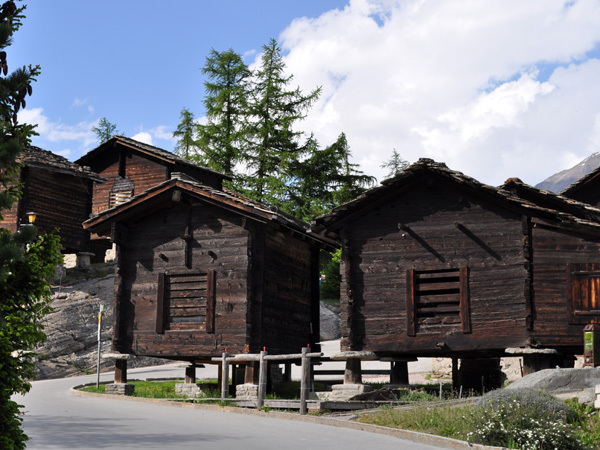 The history of the springs dates back to the Roman times and the Gemmi Pass has been an important connection between Valais and Bern in past centuries. Matterhorn... or, in French, Cervin... The most mythical summit of Switzerland, or even Europe! South of Zermatt, on the border between Switzerland and Italy, peaking at 4,478 m (14,691 ft) above the sea. Dam and lake at the end of Saastal. 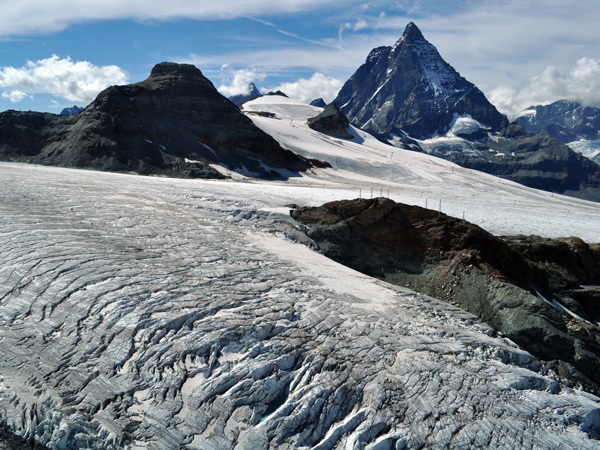 West of the lake, there are three summits of the Mischabel Massif that peak over 4000 m: Strahlhorn (4190 m), Allalinhorn (4027 m) and Rimpfischhorn (4199 m). Highest mountain pass with paved road in Switzerland, 2,478 m (8,130 ft) above the sea. It connects Ulrichen (Wallis/Valais) to Airolo (Ticino/Tessin). Open June-October. High above the Saastal, Saas Fee is like Zermatt a village without cars, at the foot of 13 mountains over 4,000 m above sea level. When driving from Visp towards Zermatt, in Stalden the alpine valley divides in two: the right branch is the Mattertal, climbing to Zermatt and the Matterhorn, and the left branch is the Saastal, nicknamed Free Republic of Holidays. 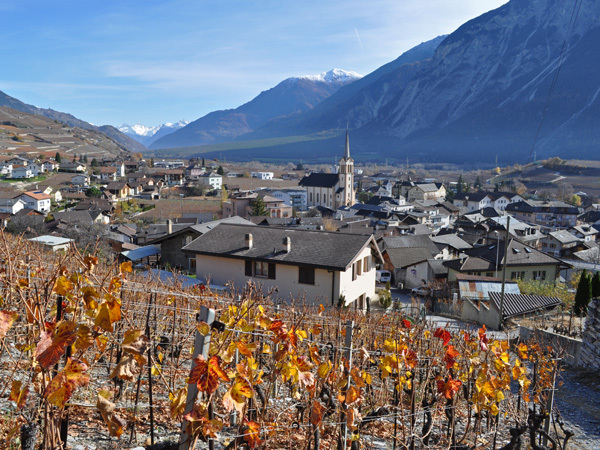 Situated at the linguistic border of Valais/Wallis, just East of Sierre and Pfyn Forest, Salquenen, or Salgesch in German, is a winegrowers village where you'll find some of the best Swiss wines. Really. This high mountain pass connects Brig (Wallis/Valais) to Domodossola (Italy). Highest point is 2,005 m (6,578 ft) above sea level and it is open all year long. A village in the Goms Valley (Vallée de Conches), above Fiesch. Start of the Nufenen (Novena) Pass connecting Wallis (Valais) to Ticino (Tessin). Visp (in French Viège) is a town in the German-speaking part of Valais, at the lower end of the Mattertal and Saastal valleys climbing to Zermatt and Saas Fee. Probably the best known Swiss place in the whole world: situated at the foot of the Matterhorn (Cervin), the most picturesque mountain of Europe, it is an ideal starting point to discover the highest peaks of the Alps, some 4,000 m above sea level. A small ski resort with 70 km of ski slopes and 19.5 km of cross-country skiing trails. In summer, the area features 300 km of marked trails and some mountain huts.